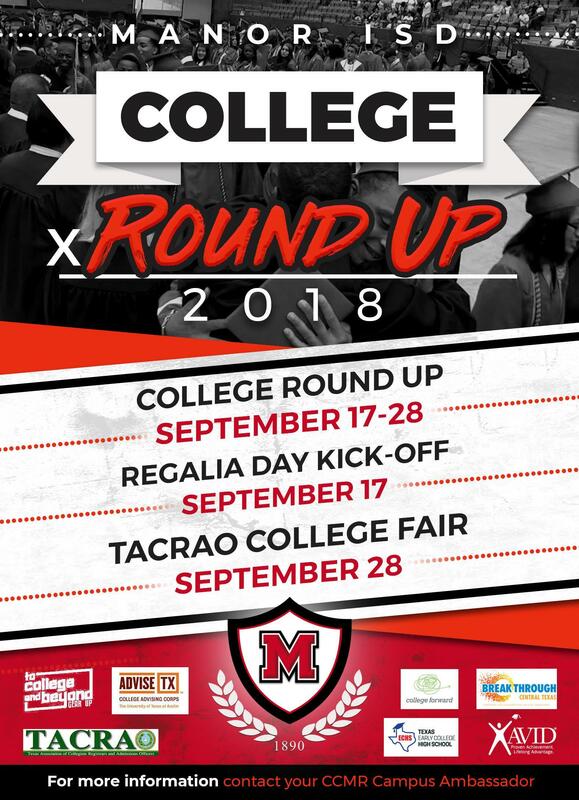 Manor ISD's College Roundup will be Sept. 17-28. 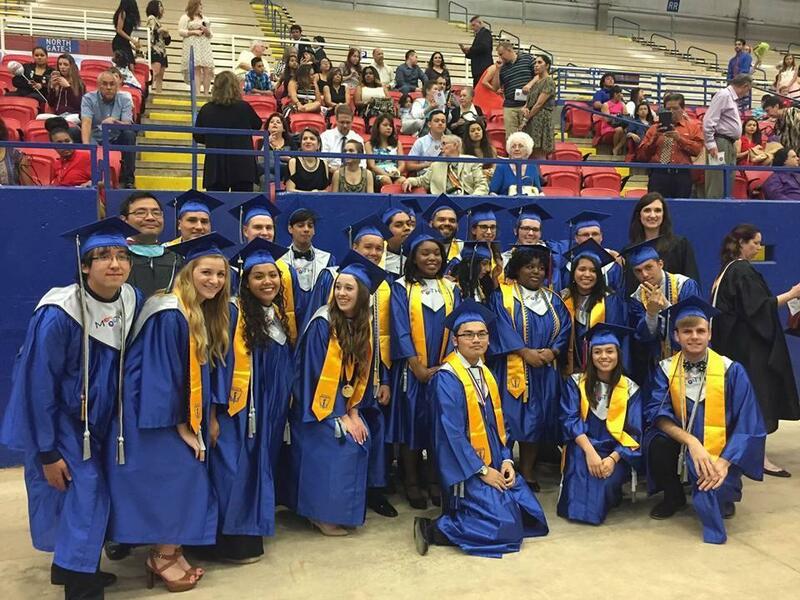 The two-week event will consist of several events across the district, beginning with Regalia Day on all campuses Sept. 17th, and ending with the Texas Association of Collegiate Registrars and Admissions Officers College Fair Sept. 28th. Regalia Day will consist of scholars wearing caps, gowns and hoods. 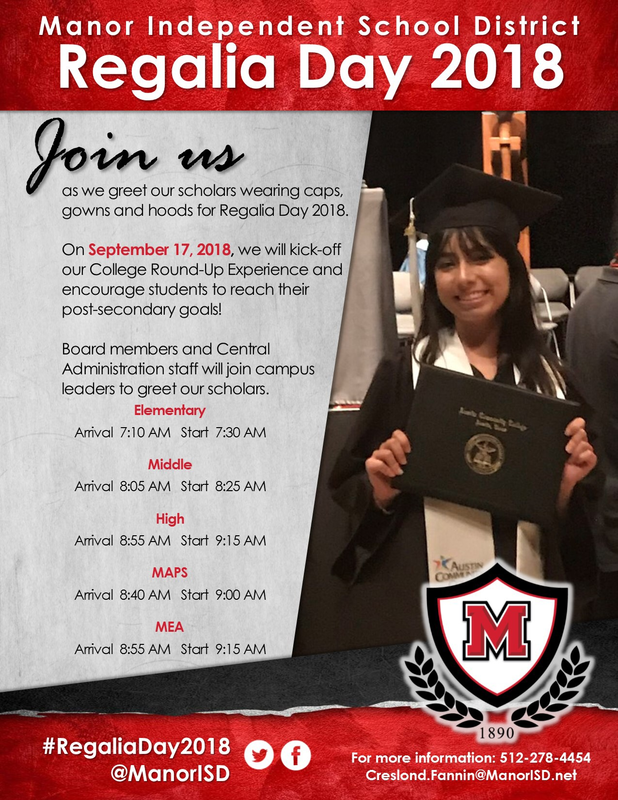 School staff, district administrators, and Board of Trustees will join campus leaders to greet scholars and encourage them to reach their post-secondary goals. 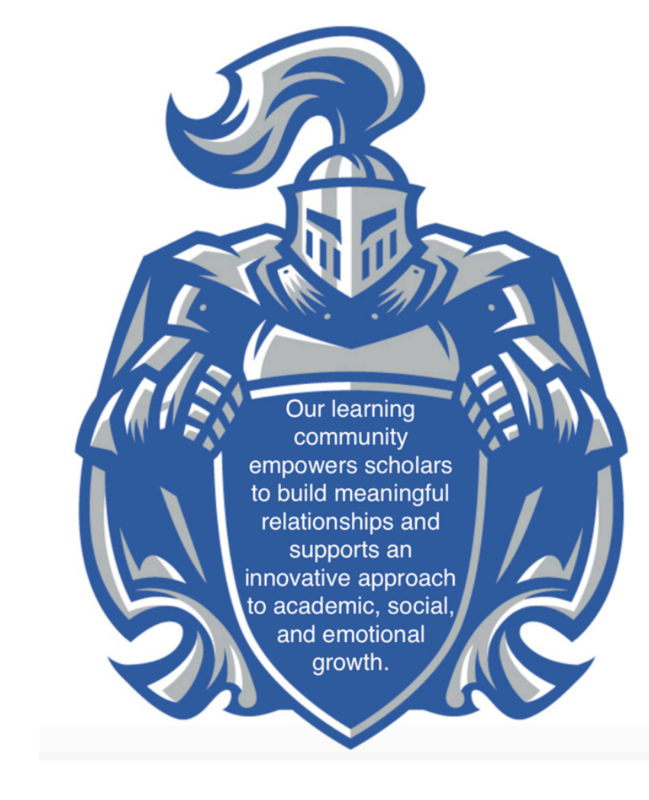 Below and attached is a full schedule of events across Manor ISD. Manor Spirit Day – all campuses!